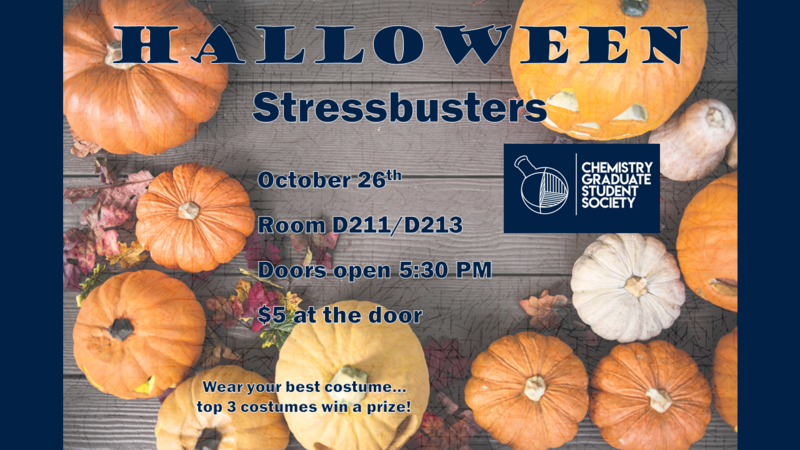 Join the biggest stressbusters of the year! Celebrate Halloween with your peers through costumes, food and beer. Best bring you favorite costume as we are having a costume contest and the top three costumes will be rewarded with a prize. Entrance fee is $5. This gets you into the event plus three alcoholic drink tickets. Additional alcoholic beverages cost $2 (through drink ticket). As always food (subway, sushi, pizza) and non-alcoholic beverages are free.